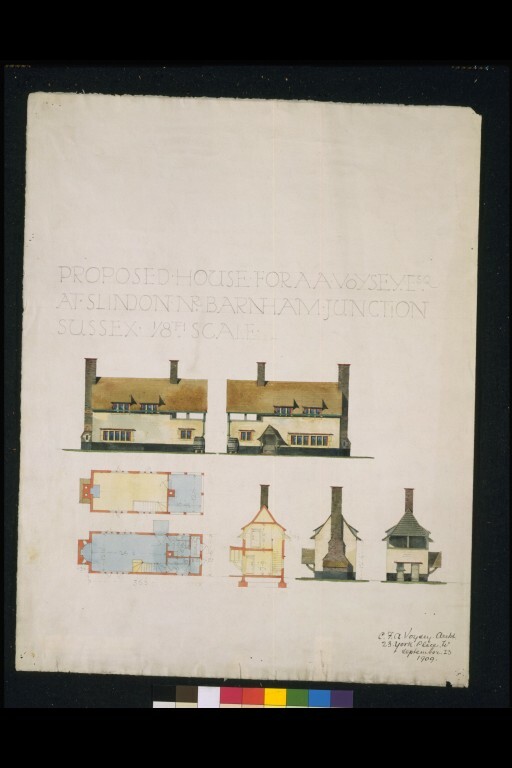 Another design relating to this house project at Slindon near Barnham Junction, Sussex, for A. 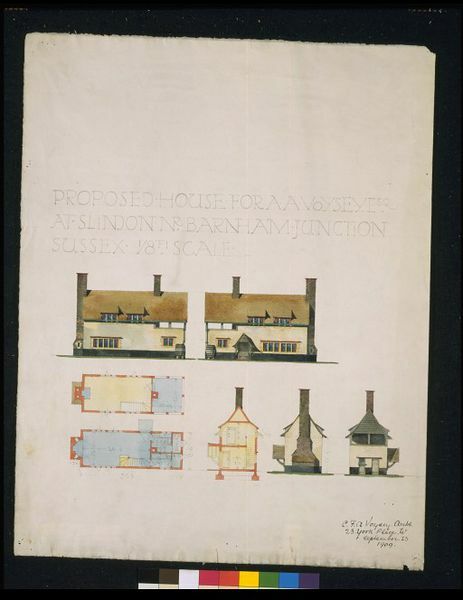 A. Voysey is held in the R I B A Drawings Collection. Catalogue of the Drawings Collection of the Royal Institute of British Architects: C. F. A. Voysey, Joanna Symonds, Gregg International, London, 1977, p.18 . 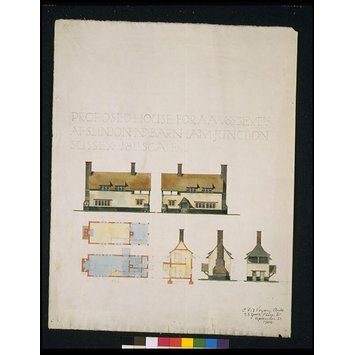 The first design in the V&A collection is for a two-storey house. The second design in the R I B A collection shows a single storey row of five rooms. Arthur Annesley Voysey was C. F. A. Voysey’s younger brother.